All my family photo shoot and wedding images are presented on a personalised USB stick. Having all of your final edited high resolution photographs presented on your own USB stick provides you with a reliable way to access them at any time, now or in the future. We have heard of many occasions when people have had difficulty accessing photographs online, problems exporting photographs for print orders, or even lost photographs or hard drives. 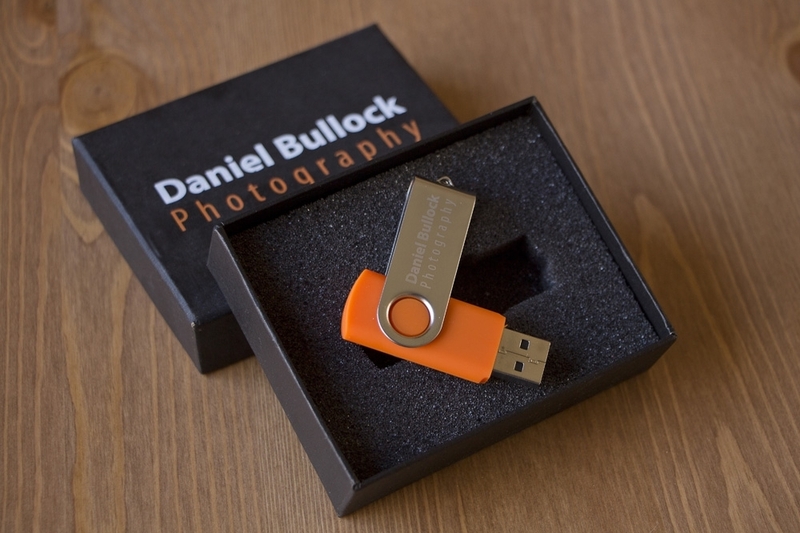 At Daniel Bullock Photography we give you a long lasting, reliable way to access and store your photographs with our personalised USB stick. You are also left with a presentation box keepsake from your experience with us. 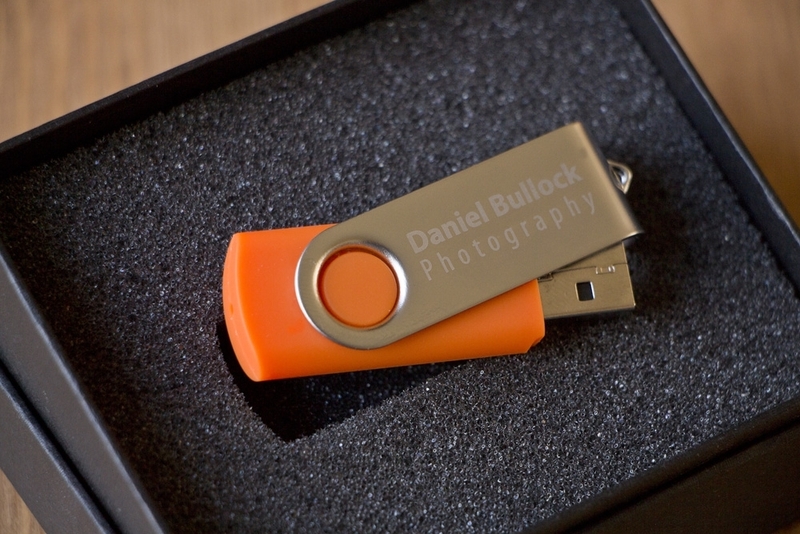 Having the personalised USB stick allows you to decide to order photography products at any time. The USB stick is included within the price of the photoshoot and enables you to view your photographs at your leisure. The USB stick also allows you to access the photographs digitally for use on social media i.e. Facebook, Twitter. With the USB stick you have the flexibility to order more photography products at a later date, as we often have clients who like a number of photographs but do not have the space to display them all, or other family members also request the products once they have seen them. We are here to meet your needs and are always happy to discuss product ideas with you, even if your photoshoot was some time ago. We aim to provide an excellent quality service from start to finish, from initially organising your photoshoot slot right through to providing you with your desired products. We strive to meet your needs and answer your questions, so if you have any particular requests please do not hesitate to discuss your ideas with us. We aim to make the experience fun and relaxed for you and your family or friends, as we believe that this environment makes for the best photographs. We want you to fondly remember your experience with us, and we thank you for allowing us to capture special moments for you to cherish for years to come.